"Our mandate is to provide services to all people, promoting unity and health in the rural and urban areas in a collaborative effort to address the needs of Aboriginal and non-Aboriginal people." 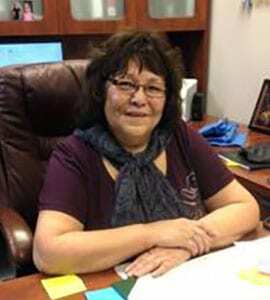 The Friendship Center was first located near Style Rite in Fort Nelson, and offered the support of Joey Steinke as a Native Courtworker as the president for the center's growth. Judith Kenyon played a key role in communicating the goals of the Centre, and its activities, to the community. The official founders were: Pierre Poullet, Harry Dickie, Joey Steinke, Lena Badine, Charles Baptiste, Mary Loe, Herbert Kind, Angus Dickie, Vincent Hollingworth, and Val Morandini. The community established a Friendship Center as a means of improving communication among non-aboriginal and aboriginal people. The center became a vehicle for reviving interest in traditional craft. From inception the center made the craft outlet a major focus. We wanted to make sure future generations would have access to this art. Elders saw the need for the Native people in the areas of housing, education, transportation, counseling and communication, and to help find funding. 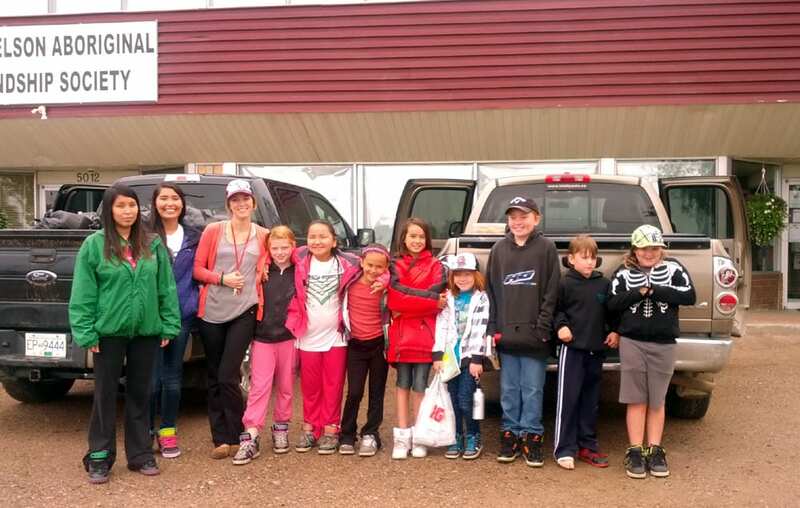 Initial programming included cultural activities like the Outdoors Opportunities Committee, which implemented camps for youth at the mouth of Deer River, and other activities out on the land. 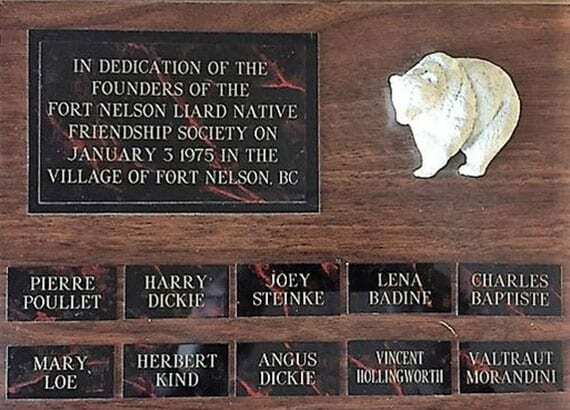 The Fort Nelson Aboriginal Friendship Society has grown over the past four decades, and now boasts two floors in a large center on 49th Avenue. Programming addresses all aspects of health, including: Family Violence; HIV/AIDS; Mental Health & Addictions; Employment; Elders, Women, and Youth Outreach; Food Bank; Soup & Bannock Socials, and also features a Men's Emergency Shelter, and a Women's Transition House. Overall, the Society's mandate is to provide services to the whole community, by promoting unity and health in rural and urban areas, in a collaborative effort to address the needs of Aboriginal and Non-Aboriginal people. The logo, created by artist Larone Lafferty, is a symbolic circle of the universe which brings all four races and directions together. The circle is also known as the Medicine Wheel, or the Circle of Life, which reminds us of Mother Earth, and also communicates that all living things are related to each other. The drum represents a gathering place, with everyone working together, and the red outer-circle shows that FNAFS is a Native aboriginal organization. The Board of Directors work to continue both of the Friendship Movement and continue to grow, and build more connections within the community. Under the direction of Linda Ashdown, Executive Director, who has been involved with the Center since 1988, the programming remains fortified in culture and the spirit of community. © 2019, Fort nelson aboriginal friendship society. All Rights Reserved.